Please see the Users page to read users reviews around the world ! The power rating is expressed with two values (example 6/10W). The first one is the maximum allowed power without any heatsink. 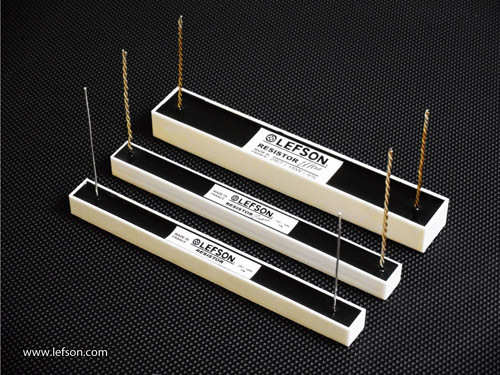 The second one concerns the maximum allowed power when the LEFSON RESISTOR is fixed on a heatsink or to a reliable case. Regarding this purpose, using thermal paste is recommended. All these power values were measured with direct current. When AC operating (audio), the maximum allowed power is significantly higher. 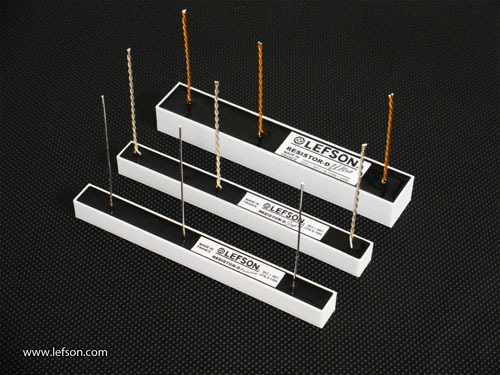 During our post-manufacturing tests period, the LEFSON RESISTOR is stressed with current peaks, up to 25/30W.